Employees who are involved in the storage, mixing, blending and distribution of fertilizer can experience serious injuries or death on the job. The Occupational Safety and Health Administration (OSHA) has launched a Regional Emphasis Program in Arkansas, Kansas, Louisiana, Missouri, Nebraska, Oklahoma, and Texas. The goal of the program is to make sure that companies in the industry comply with OSHA’s standards to protect workers. The program began on October 1, 2018. During a three-month period, OSHA will reach out to employers to educate them about hazards and encourage them to make changes to comply with government standards. OSHA offers free assistance to employers so they can bring their operations into compliance. After the conclusion of the outreach period, OSHA will undertake enforcement activities until at least September 30, 2019. Ammonia fertilizers are commonly used in agriculture because they can enrich the soil with nitrogen. Employees in the agriculture industry are at risk because of exposure to fertilizer-grade ammonium nitrate (FGAN) and agricultural anhydrous ammonia. They may be exposed to toxic gases and dangerous chemicals, and fires or explosions can occur if safety standards are not met. Anhydrous ammonia fertilizer is in a liquid form. It can be dangerous if it is spilled or sprayed onto an employee’s body or in the eyes. A high concentration of ammonia gas can cause respiratory symptoms. Because of the risks inherent in working with ammonia fertilizers, precautions need to be taken at all times. Employees should always wear chemical goggles and keep their skin covered. If the skin or eyes come into contact with ammonia, the area should be flushed with water before seeking medical treatment as soon as possible. Following proper procedures and inspecting equipment can prevent many accidents. Before transferring fertilizer, workers should check valves, lines, and connections for damage or other problems to prevent spills and leaks. Any issues should be addressed before using the equipment. Only equipment specifically designed for anhydrous ammonia should be used. Ammonium nitrate fertilizer should be stored in a ventilated building where it is protected from water and kept away from any combustible materials. The size of the piles and the amount of space between them should meet safety standards. 1st Aid Supplies has a variety of protective gear that is appropriate for a wide range of occupations. Employees who work with ammonia fertilizer should wear gloves, masks or respirators, and protective clothing to prevent illness or injury on the job. 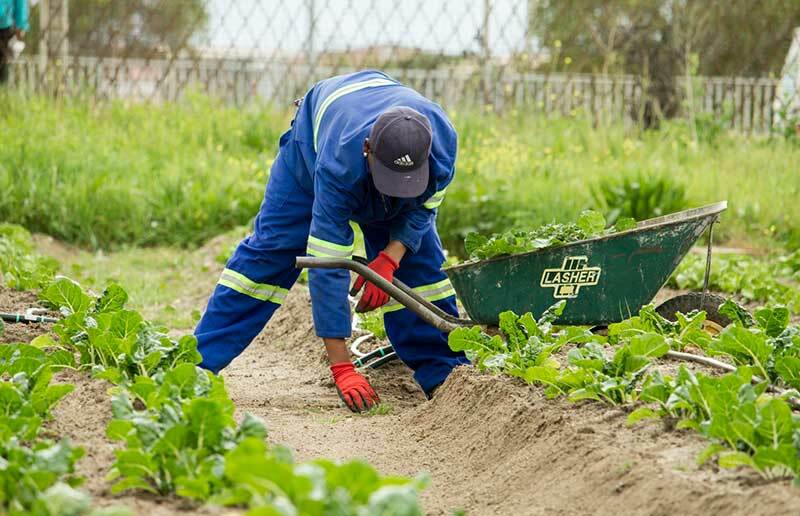 If your employees handle fertilizer and you are not currently in compliance with OSHA’s standards, the current education and prevention outreach period is the perfect time to take the measures necessary to keep your employees safe. Order protective gear from 1st Aid Supplies today!